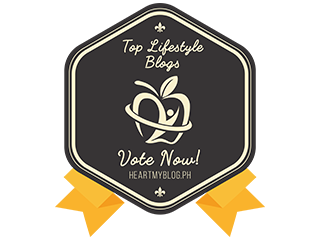 Do you think your favorite breakfast provide sufficient nutrition that needed by our body? 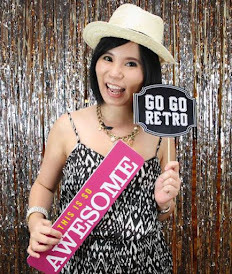 Let's hear from Ashlee Ng, Marketing Director of Dutch Lady Malaysia during the Breakfast Campaign Launch on 24th August 2017. According to Ashlee, " Breakfast is the most important meal of the day as it is the first meal we eat after 8 to 12 hours from our last meal. Depriving our bodies of nutrients for as long as 12 hours means our brain lacks energy when we wake up. Our metabolism also needs food to kick-start itself into action." 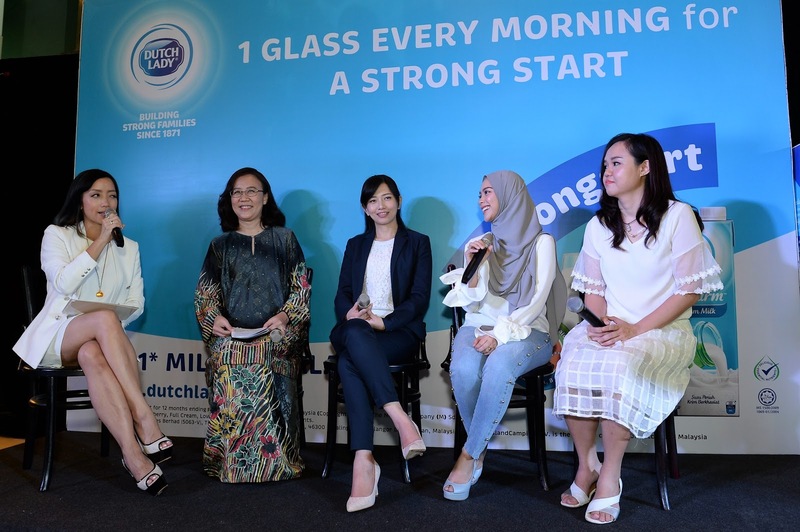 Added to her speech, " As such, the breakfast we consume needs to provide sufficient essential nutrients to help us meet our daily nutrient intake as recommended by the Ministry of Health. 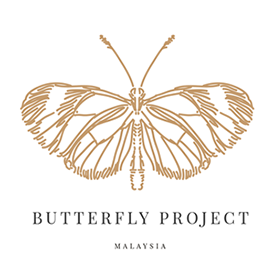 It also needs to provide a balance of macro and micronutrients, including carbohydrates, proteins, vitamins and minerals." 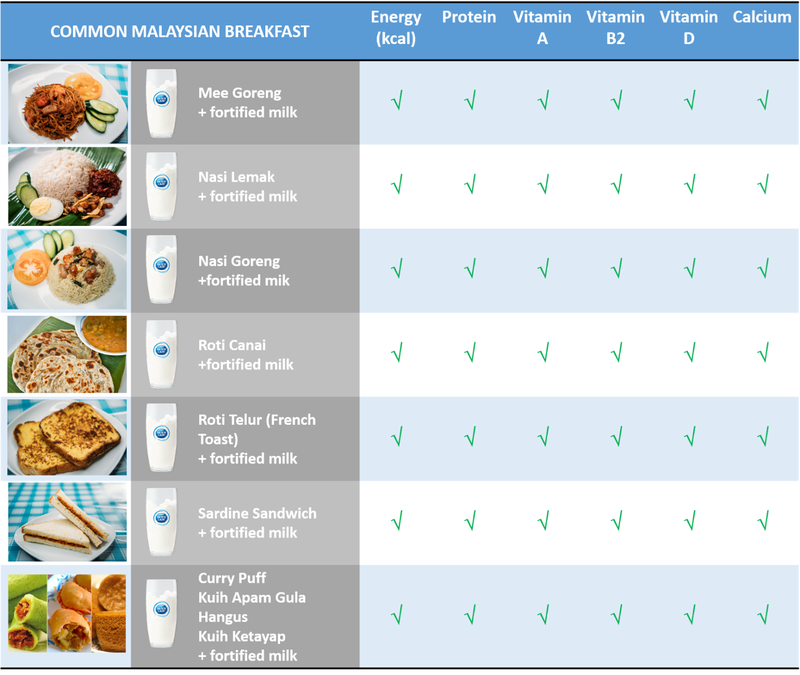 Sadly to mention a third of Malaysian children do not consume breakfast on a daily basis. 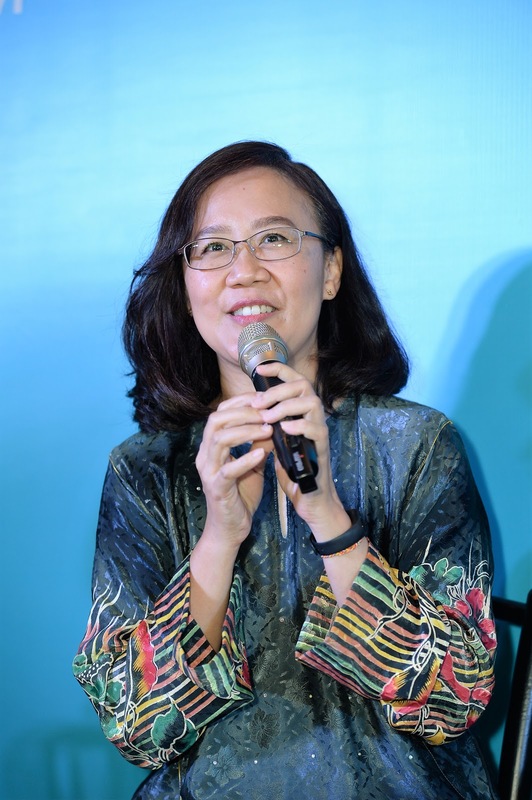 According to Professor Dr. Poh Bee Koon of Faculty of Health Sciences, Universiti Kebangsaan Malaysia, her team analyzed seven popular breakfasts to see if they provide sufficient amounts of energy, protein, vitamins A, B2 and D, and calcium to meet 20 to 25% of recommended energy and nutrient intake for both adults and children. 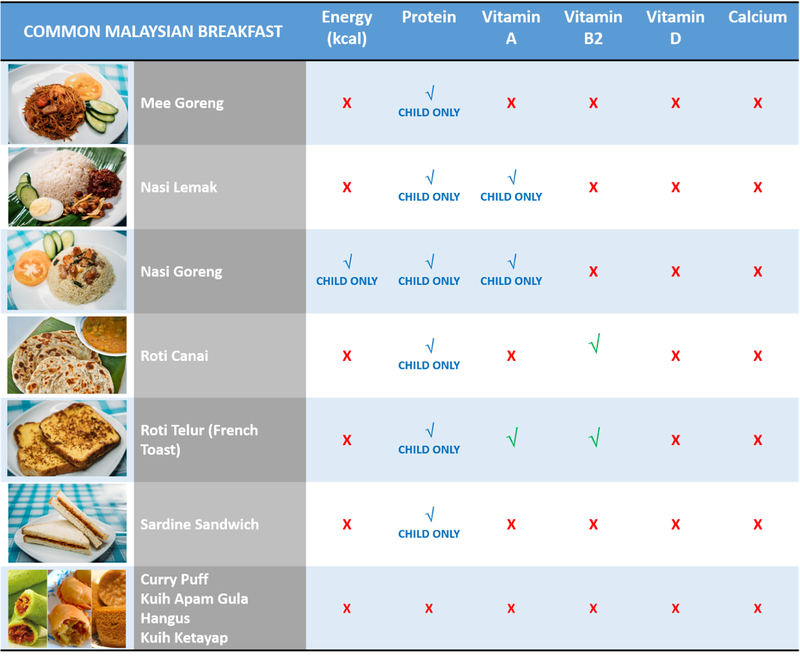 “Analysis of these common Malaysian breakfasts shows they do not supply enough essential nutrients to meet 20 to 25% of daily recommended nutrient intake (RNI) for both adults and children. 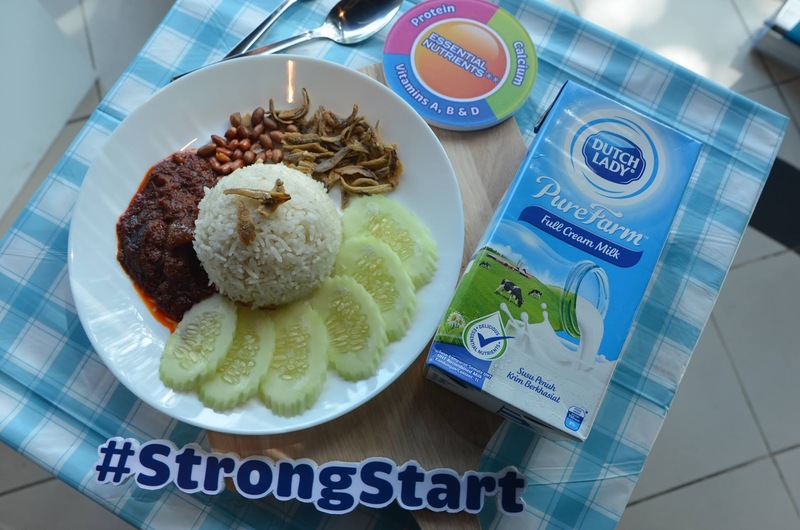 For adults, these breakfasts fall short of protein, vitamin D, calcium and energy which is important to help them start their day; and for children, they are lacking in vitamin D and calcium, which are essential for healthy bone growth and development” remarked Prof. Poh. Can you see the different between the two chart? When consume your favorite breakfast with a 250ml serving of Dutch Lady PureFarm milk, the ideal 20 - 25% of daily nutrition intake can be met. Energy and all vitamins and mineral measured (vitamins A, B2, D and calcium) met the 20 – 25% daily RNI for adults and children. 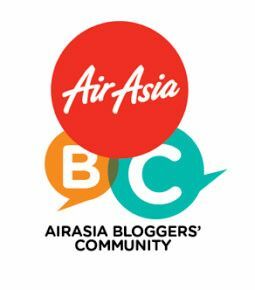 Ashlee added on to her speech, " As Malaysians, usually take nasi lemak, mee goreng and nasi goreng, especially in the morning. However, these breakfast choices are not providing us with enough macro and micro nutrients to start the day strong. 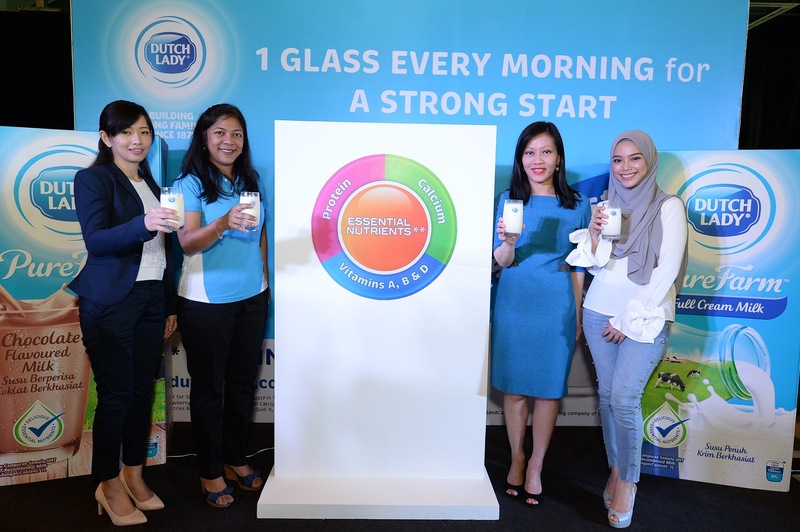 To help Malaysian families meet their recommended nutrient intake for breakfasts, we are advocating to add a glass of Dutch Lady PureFarm milk every morning! 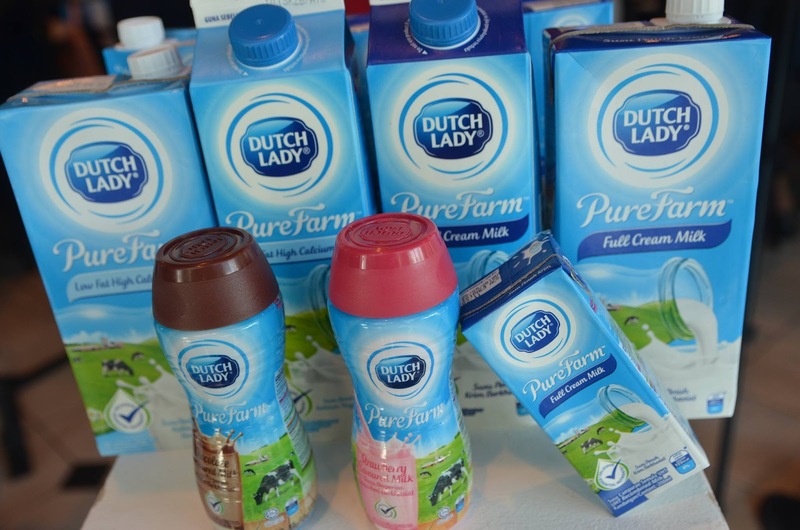 The best part is Dutch Lady PureFarm milk comes in convenient packages that are ideal for hustling mornings." Yes, I do agree with her statement as I do consume Dutch Lady PureFarm milk daily. · Calcium is the key for the growth and development of strong bones and teeth for children, and helps adults maintain a healthy bone mass13 for an active lifestyle. Why not start of your daily breakfast together with one glass of Dutch Lady PureFarm milk? 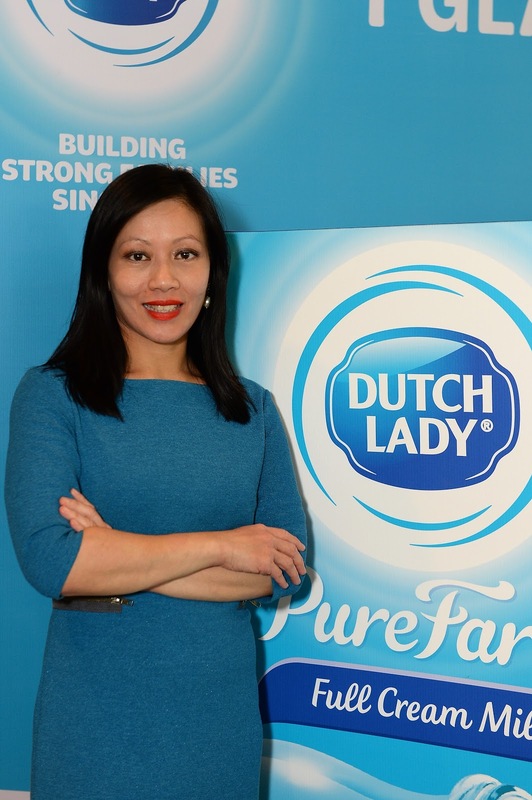 Dutch Lady PureFarm is Malaysia's No.1 milk that suitable for consume for whole family. 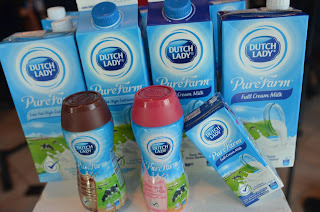 More information about a glass of Dutch Lady PureFarm milk can help you meet your required nutrient intake, go to Dutch Lady Malaysia Facebook at www.facebook.com/spread.the.goodness.of.milk or www.dutchlady.com.my.